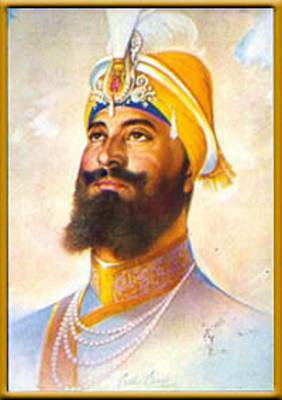 If I were given the choice to meet any one person in history, my pick would be Guru Gobind Singh. A figure unlike any other, a soul most extraordinary. The 10th guru of the Sikh faith, fought battles against tremendous odds, lost all four sons in the struggle for the right to practice a religion of one’s choice, was a stellar poet in Persian, and instilled in the Sikhs a light that shines bright to this day. All of that in the brief 43 years he lived. Note: The image is from here. My home for the first 18 years of my life had this exact framed painting and I would like to pay my regards to the painter, Sobha Singh, whose works of Sikh gurus are without parallel.